Mercedes-Benz just opened the order books for its third-generation plug-in hybrid electric vehicle (PHEV) model. 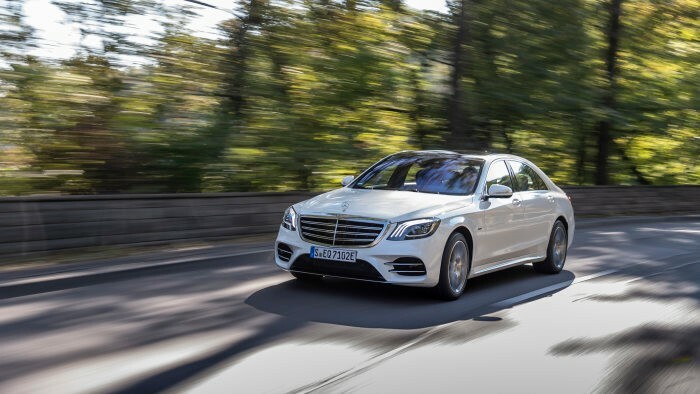 Starting yesterday (October 10) the company has started selling the Mercedes-Benz S560 e.
According to the press release of Daimler, the prices for the S560 e PHEV starts at €96,065 (excluding VAT), which is $111,023.76 based on the current conversion rates. The car is scheduled to reach dealerships before October ends. Being an S-Class, expect all the standard luxuries offered by the flagship car of Mercedes in the S560 e, including the climate control as well as the infotainment and driver assistance systems. What makes the car extra special is its powertrain though. The S560 e carries the same 3.0-liter biturbo V6 engine found in the latest S450. The unit produces 367 hp and 500 Nm of torque. It also has an electric motor with an output of 90 kW. Combining the V6 and the EQ Power boost takes its total output to 476 hp and 700 Nm torque. Meanwhile, the 0-100 km/h sprint of the PHEV can be achieved in just 5 seconds. The top speed of the auto is electronically-limited to 250 km/h. On the other hand, switching to an electric power alone lets it run a little more than 133 km/h. The lithium-ion battery pack of the S560 e was made by Daimler’s subsidiary called Deutsche ACCUMOTIVE. The unit can store 13.5 kWh, and at full charge on electric mode, the S-Class PHEV has up to 50 km electric range. The S560 e features four operating modes for its hybrid powertrain management and five driving programs. These allow the driver to adjust the settings of the car whether he/she wants it to focus on performance, comfort, fuel-saving, electric power or hybrid setup.